Ah, the thrills of scuba diving! Nothing can compare to the exhilaration of plunging straight into the water into the world of colourful sea creatures. And although Vietnam is not the first destination that pops into your head when you think of a water sporting adventure, it is certainly one that is fast gaining popularity. Hidden away in the bosom of the South China Sea is the Moray Beach, where azure waters take you away on an adventure like never before. Situated in Nha Trang, the scuba diving epicentre of Vietnam, you'll be amazed as you explore the mystical water along with fish such as scorpionfish, clownfish, and black frogfish as they swim their way through coral reefs. You might find a few nudibranch molluscs lazying away, and if you manage to explore the mystical caves of Moray, you might catch a glimpse of pipe fish, razor fish and devil scorpionfish. With a maximum depth of about 18 metres/60 feet, this destination is perfect for the first time as well as seasoned divers. Another wondrous destination in Vietnam for scuba diving is the Madonna Rock, where the water houses some rock niches and caverns. These rocks serve as the perfect hideaway for some sea creatures such as Glassfish, flatworms, shrimp species, and ghost fish. Other than these, moray eels and lionfish are often seen meandering about the sea and octopuses too, appear now and then. Another popular desitnation for scuba diving in Vietnam is Ho Trau Nam in Whale Island. Also known as Three King Island, this destination has three peaks that rise to the surface from within the water. This destination is a favourite haunt among fish such as manta, eagle, and stingrays. The seabed of this destination is quite ornate as well. Yellow, white and purple corals and gorgonian adorn the floor and form an intricate labyrinthine network of underwater vegetation. A little further off from the main landscape of Whale Island is White Rock which is yet another great spot for scuba diving in Vietnam. This site has a diving depth of around 40 metres and is thronged with huge rays. Many rock peaks lie on the seabed intertwined with black coral and gorgonian. Smaller marine creatures mostly frequent this destination, making this an exotic place for scuba diving in Vietnam. Don't be surprised if a school of these little creatures make their way right past you. You may also find bamboo sharks here. 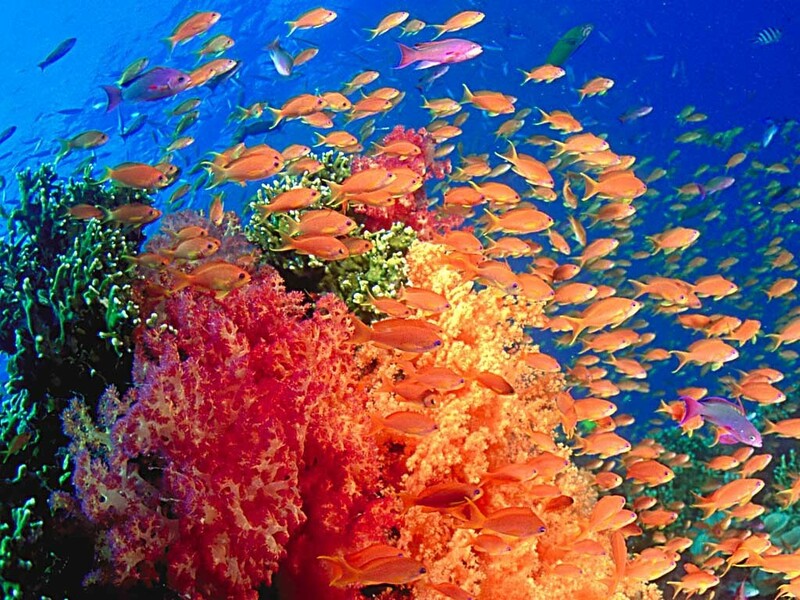 Coral reefs and rocks form a unique underwater landscape which is further embellished with dark red gorgonian. Most of the animals prefer to stay in the nooks and crannies of the rocks, so don't forget to explore these places. Also known as 'Dry Island', this destination is worthy of scuba diving in Vietnam just for its incredible underwater coral reef system. On the surface, you might see a few rocks breaking the surface, but don't be deceived! It is nothing compared to the complex seabed underneath which houses several sea creatures such as mitre shells, rays, bamboo sharks, nudibranchs, catfish and scorpionfish. The depth of the sea at Hon Nhan in Hoi An is about 40 metres, first-timers can easily get the hang of scuba diving at this Vietnamese desitination. This spot is a popular hangout spot for a number of fish such as pipefish, clownfish, triggerfish and lionfish. In addition to these, you might also have a happy encounter with seahorses, barracudas, ribbon eels and crabs. You will certainly encounter some fish skimming through the tangles of nudibranch, which is an endearing sight indeed! The Con Dao Islands is a relatively lesser explored territory when it comes to scuba diving in Vietnam, but that doesn't translate into any negatives at all! Pristine and away from the din of people, the underwater beauty of this place is divine. Among the sea creatures here, you will find coral reefs and a wide variety of exotic fish such as barracuda, moray eels, Moorish idols and well-camouflaged stonefish. Turtles also make an appearance here. However, this region tends to get inaccessible due to extreme weather conditions, so you might want to check out this destination for the same. Overall, a wonderful experience for newbies and diving veterans alike! Ho Chi Minh City, which is a destination bubbling with thousands of people during the night, tranforms during the day into a wonderful scuba diving destination in Vietnam. Diving here takes place just off the coast, and you can witness some enthralling sights below the surface of the sea. However, this is not as popular a diving destination as the others, so you might want to skip this if you find an option elsewhere. SSI affiliated and has PADI instructors on the staff that teach from entry level up to divemaster level. Internships for dive pro training are also available. They offer a long bottom time on each dive, free hotel pickups from Nha Trang City Centre and lunch on the boat. Diving centres in Nha Trang, Whale Island, Hoi An, Con Dao and Phu Quoc Island. Offer PADI Courses, daily dive trips, instructor training and technical diving. Online learning, multimedia room, the latest dive gear from Hollis, dive computers available. Multilingual instructors to assist your diving experience. All of this equipment is provided by all dive centres in Vietnam. Ensure that no gear is missing from this checklist for a safe dive. The thought of leaping headfirst into a sea of the unknown might seem to be risky at first, but with proper guidance and precaution, it can turn out to be an experience of a lifetime. Go ahead and take the the first step towards scuba diving in Vietnam, you surely won't regret it! Explore the Unique Vietnamese Art of Water Puppetry! Best Places For Camping Near Pune That Are Worth Visiting! Places In India You MUST Visit This April! Beat The Heat! Here Are India's MUST Visit Hill Stations! Can't Decide Which Is India's BEST Beer? This List Might Help! Celebrate New Year in Thailand with A Huge Water-fight!